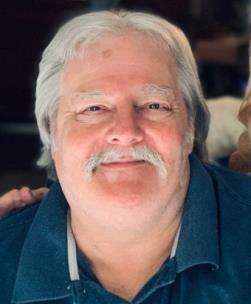 David Alan Roth, 63, of Kensington (McLemore Cove), went home to be with the Lord Sunday, February 10, 2019. He was a resident of the Chattanooga and the North Georgia area for most of his life, and a member of Lookout Baptist Church in High Point. David graduated from the first graduating class of Tennessee Temple High School, where he was elected Mr. Temple High School. He also attended Tennessee Temple University and UTC. He was the owner of Dr. Flue Chimney Sweep and DARCO Woodworks. He was an excellent craftsman, taking great pride in all of his jobs, and was an avid outdoorsman. He had hiked a lot of the Appalachian Trails with his dad and cousin. David was a talented musician, serving as the lead guitarist for Celebrate Recovery at Oakwood Baptist Church for several years. He was preceded in death by his mother, Lenora Ann Roth. David is survived by his loving wife of 35 years, June Alicyne Burns Roth; father, Fred Rothon; son, James David Roth; daughters, Samantha Jane Vandergriff and Heather Suzanne Mims; brother, Jeffry (Clarice) Lee Roth; sister, Jennifer (Robbie) Roth Payne; granddaughter, Catherine Elizabeth Vandergriff; brother-in-law, James Bradley Burns; and several nieces and nephews. Funeral services will be at 1 p.m on Thursday at Lookout Baptist Church at High Point, with Pastor Terry Burns and Dr. Denny Whitesel officiating. Interment will be at Coulter Memorial Cemetery. Memorial contributions may be made to The Center for Hope Counseling Services Inc. and Walker County Animal Shelter. The family will receive friends from 4-8 p.m. on Wednesday at Heritage Funeral Home & Crematory, Battlefield Parkway and from noon-1 p.m. on Thursday at Lookout Baptist Church, where the body will lie in state before the service.